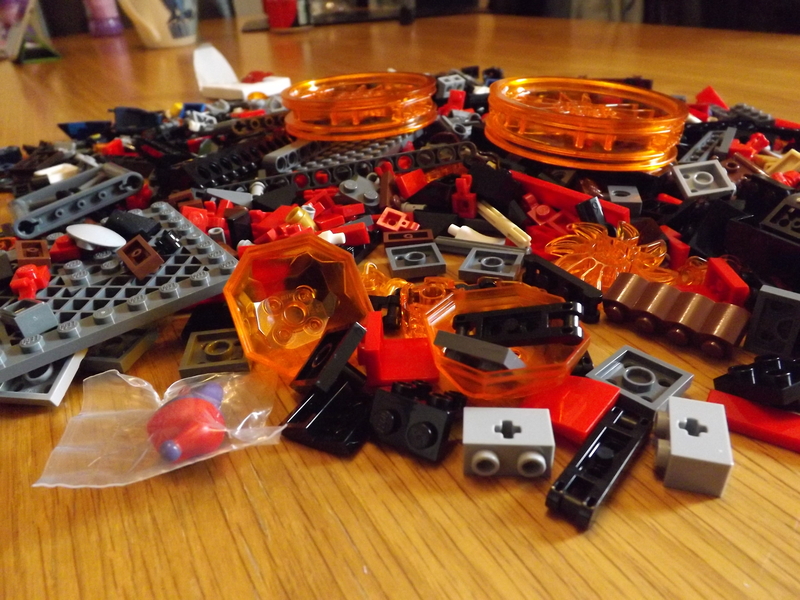 As most of you will have gathered by now, our family are quite big fans of Lego. 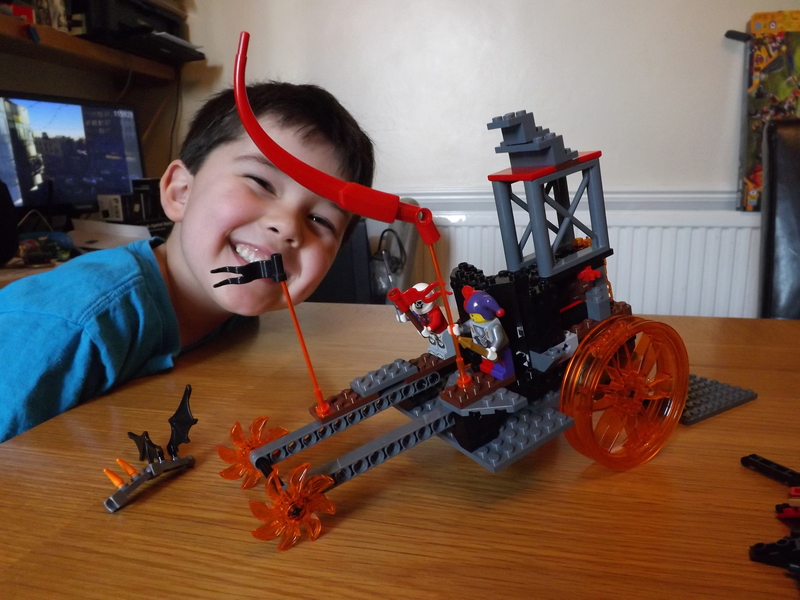 Whether it’s Ninjago, Superhero, Star Wars or Creator (and many more in between) we love them all – and I love reviewing the sets too. But the crafty people at Debenhams had a different challenge in mind – one which test our creativity and cunning. And who can say no to a challenge like that? 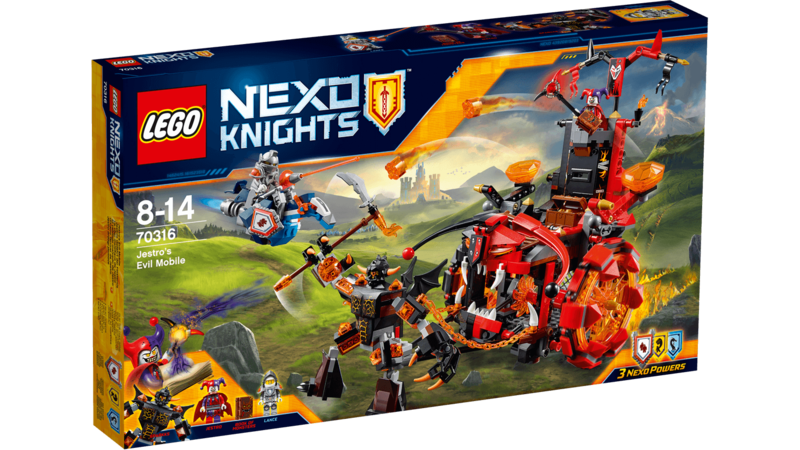 The lovely folk at Debenhams (who have a great range of Lego both in store and online) sent us a Nexo Knights model – the one you can see below, to be precise – and asked us NOT to build it. Before you think they’re QUITE mad, though, hear me out. 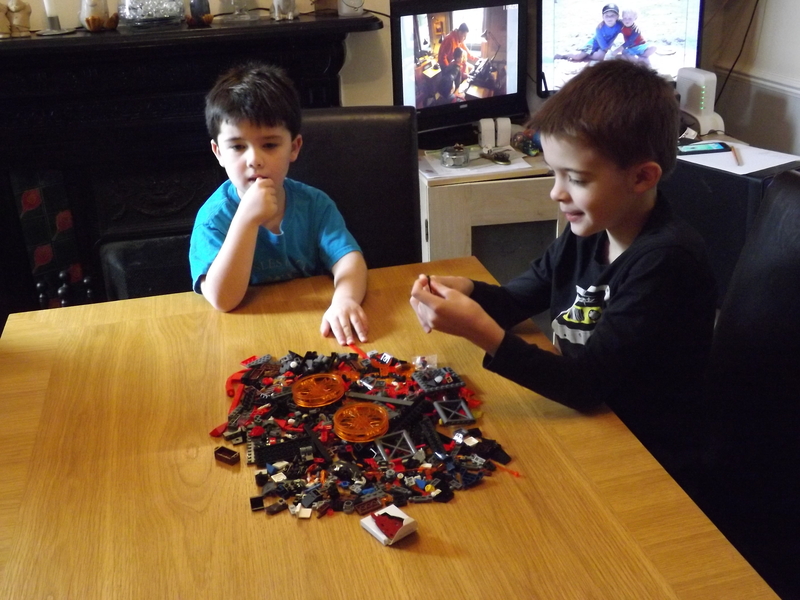 Instead of using the instructions to build the specified mode, they set us the 15 minute Lego challenge, asking us to see what we could build in just 15 minutes. Well, that’s the kind of challenge we relish! Well, actually in truth, I’ll admit that it wasn’t quite as straight forward as I’d like to imagine – for a few reasons. 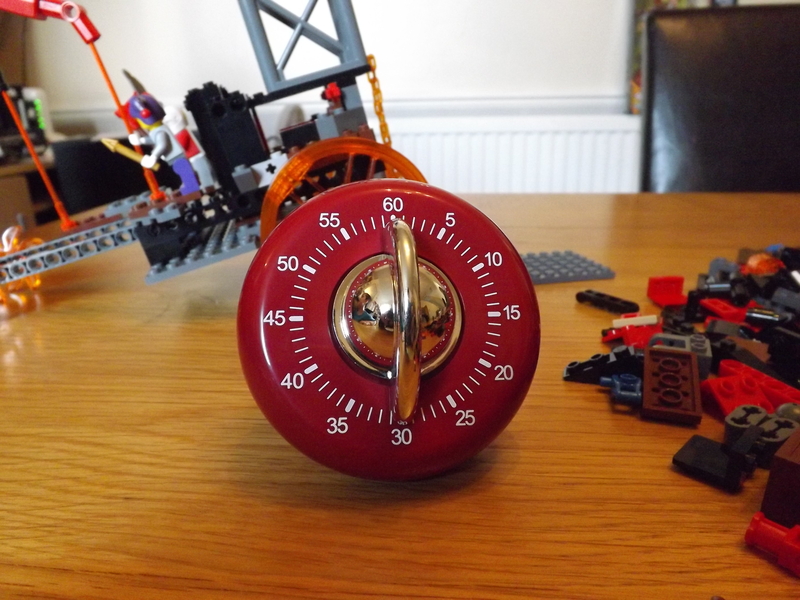 First up, my boys can often play Lego for hours on end – whilst they love making up the sets specified in the instructions, they’re also very adept at making their own creations and models. So setting them a time-limit of 15 minutes was quite a tough one to explain. The other challenge (and one which was entirely my own, I should add) was that I asked them to work as a team to build one single model. And anyone who has more than one child will attest to the fact that they don’t always do team work quite as well as you’d like! Never the less, we persevered, and the results are below. I asked Robert to describe what they had built, and he said it was a “Prison wagon” – inspired partly by some of the prison-like pieces in the set, I expect. 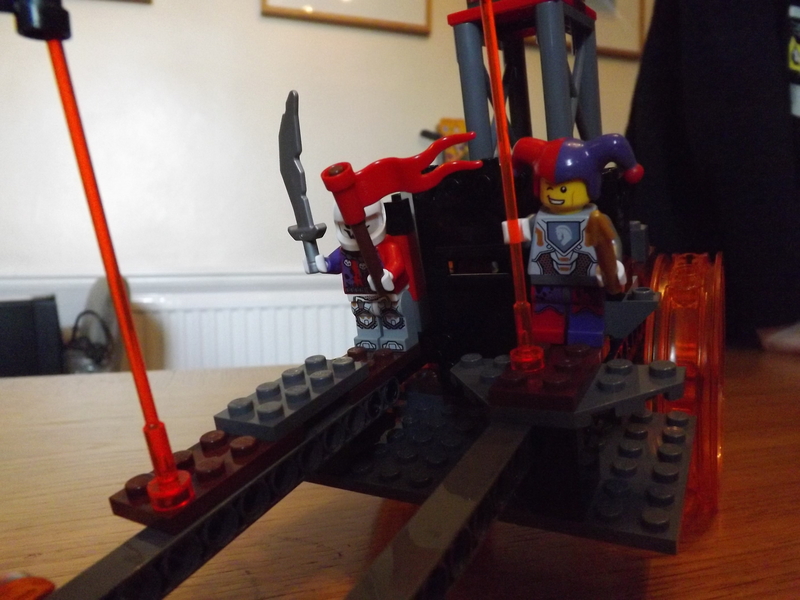 The original set only came with two wheels, so they had to use their imagination a little but they seemed to find a solution – albeit one which would probably make for a rather bumpy ride! I’m also pleased to report that, even though I “stopped” the challenge at the end of our alloted 15 minutes, they spent at least another hour adding-on to their model, as well as building others. I was partially tempted to post the finished product too, but I’m a sucker for rules so I’ve only shown you what they did in the 15 minutes! As a bonus, we’ve now got the fun task of taking the models apart and building the actual model from the set – we might leave that for another afternoon though!